The complete collapse of the Roman Empire changed the western world forever. It was a tabula rasa of sorts, as the societies of the former Roman Empire had the opportunity to start anew and redefine the way their society existed. And this is essentially what happened for the next 1200 years through trial and error, with numerous new rulers, and many deaths along the way. The end result was the more stable nation state during the thriving Renaissance. In The Collapse and Recovery of Europe, Jack L. Schwartzwald, author of The Ancient Near East, Greece and Rome, moves into the next arena of history, tackling this important period in history that was pivotal in creating and defining Europe as a union of individual and eventual nation states. You’ll notice there is no mention anywhere of the poorly and incorrectly named “dark ages,” implying that the beginning of these twelve centuries was a time of stagnation and a return to “primitive” times, when in reality important foundation blocks were being laid, paving the way for the rebirth of science, art and culture of the renaissance. The book is divided into three parts and periods, the first covering the glorious time of Byzantium in “City of the World’s Desire,” encompassing a millennium of a minor empire that still considered itself continuing the glory that was Rome, when in reality it was a melting pot of various cultures, including Greeks, the growing Christian faith and flock, as well as Asiatic influences from the East. But as Byzantium was basking in the shadow of its paternal Rome, it too eventually succumbed to foreign invasion and overthrow. In the second part, “City of God,” Schwartzwald covers the birth and explosion of the church and Catholic faith in Western Europe, as it sought to convert the people to God and create a heaven on Earth in the same thriving glory that was Rome, but as those high up in the faith — the popes and cardinals to name a few – fought for ideals they believed to be true to the faith, derision and schism grew, leading to fracturing and fighting and wars. The Middle Ages ended with the ultimate of struggles in the Hundred Years’ War. The final part, “City of Man,” leads off with the end of the Hundred Years’ War and concludes with the Treaty of Westphalia in 1648. Here Schwartzwald focuses on the development and birth of the nation state which was deemed the final healthy successor to the idea that was Rome. As with the previous parts, the author focuses on the political and militaristic history of the period, but in a way that keeps the reader fully engrossed. Provided at the end of each section are “Societal Achievements,” highlighting the great strides that were made. 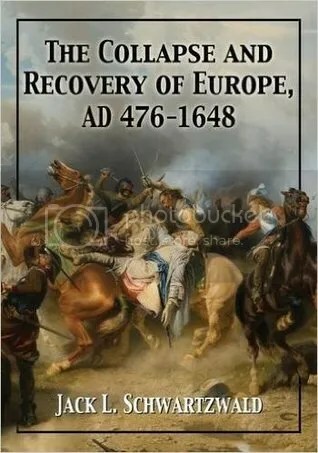 The Collapse and Recovery of Europe, as with Schwartzwald’s previous book, is a very approachable and readable volume, be the reader a student or merely someone interested in the period. Since the author is covering a vast amount of time, some 1200 years, he cannot be comprehensive with the history telling, but he is thorough with many sections covering the political and militaristic events and occasions in a succinct way that doesn’t bog the reader down with too many details; coupled with numerous pictures – many in color – it makes for a very pleasant reading experience. These sectional divisions also help to break up the overwhelming amount of history into digestible chunks so that the reader can read the book one section at a time, or engorge on a larger amount of history that is still well and clearly divided to make it more comprehensible. The result is an impressive history book covering a large amount of time that is made very accessible and readable for any fan or person interested in the period. Originally written on June 1, 2015 ©Alex C. Telander. To purchase a copy of The Collapse and Recovery of Europe from Amazon, and help support BookBanter, click HERE. To many the renaissance was a time of rebirth and growth that began sometime around the fifteenth or sixteenth centuries, ushering in a whole new era of scientific development and the advancement of knowledge. 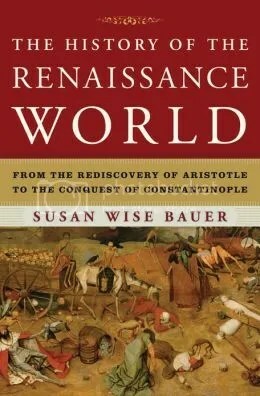 But after completing her History of the Medieval World, Susan Wise Bauer begins her History of the Renaissance correctly in the early twelfth century beginning with the rediscovery of Aristotle and ending in the mid fifteenth century with the conquest of Constantinople. 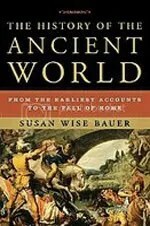 The detailed book is divided into five sections: “Renaissances,” “Invasions, Heresies, and Uprisings,” “Catastrophes,” “Regroupings,” “Endings.” Just as she did with The History o f the Ancient World and The History of the Medieval World, Bauer takes the reader on a fantastic whirlwind tour of the world, presenting a detailed history from specific periods of these various cultures, how they were interacting and engaging with each other, and what developments occurred and when and how they influenced the nations of the world. Where she can, Bauer uses timelines, photos, pictures and any other sources that will help the reader along. Just as with her previous books in this series, The History of the Renaissance World is an ideal historical reference that can be enjoyed as a normal book, read from beginning to ending, taking the reader across the globe over three centuries of complex history, or used as a quick reference guide thanks to the concise contents listing and lengthy index, allowing readers to get to a specific historical event in time in seconds. This is a worthy volume to add to one’s collection and is perfect for the student or scholar wanting a handy reference manual for the period, or for the history aficionado who simply wishes to learn more about the renaissance and when it truly began. Originally written on March 24, 2014 ©Alex C. Telander. To purchase a copy of The History of the Renaissance World from Bookshop Santa Cruz, and help support BookBanter, click HERE. The settling of the islands that would one day come to be known as Great Britain is one of the most fascinating times of history, as so much of what would become Western Europe was shaped and formed by these early periods and yet it is also one of the lesser known periods of history. But thanks to numerous advancements and discoveries made in the fields of archaeology and genetics, Barry Cunliffe brings readers the new definitive text on the founding of a nation, people and culture. Cunliffe is a renowned British professor who has specialized in archaeology and is known for his excellent history books on early Britain and Europe, including The Ancient Celts, Facing the Ocean and Between the Oceans. 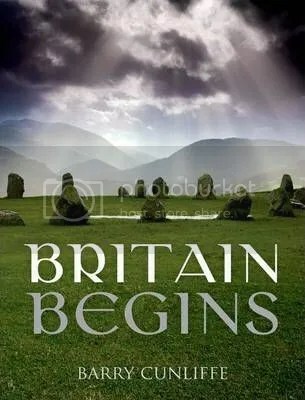 In Britain Begins, he takes readers far back, starting with the myths and ancestors of Britain and then leading into shortly after the end of the last ice age, when the freezing waters retreated and Britain became an island once again. He then takes the reader down a detailed and fascinating history road addressing who the ancient Britons were, the settling of the Celts, on through the Roman invasion and ruling period, up to the Anglo-Saxon and then Norman invasions. It is rare to see a book that ends with the battle of Hastings and William the Conqueror, but this is not just any history book. Scholars and fans of the history will both delight in owning Britain Begins with its detailed text, numerous photos and illustrations lending visual proof and answers to a period that up until now has remained relatively unknown. To purchase a copy of Britain Begins from Bookshop Santa Cruz, and help support BookBanter, click HERE. One thing we will never be certain of is whether or not King Arthur actually lived. There are literally hundreds of books, TV series, documentaries, movies, papers and journals on the subject and life of King Arthur. There are also hundreds of historical fiction novels about him. There are also a number of secondary sources recorded from various times during the Middle Ages that talk of Arthur, and his time, his battles, his life. But we still don’t know how true any of these documents are, and whether there really was a large-scale Anglo-Saxon invasion of Britain. Guy Halsall is in the minority, and he admits this up front, in his introduction to Worlds of Arthur. He has taught at universities in London and York, and has specialized in the Merovingian Period (c. 450- c.750), but has also written about a lot of other subjects from the period, including death and burial, age and gender, violence and warfare, and barbarian migrations. He is also not a believer in King Arthur. He believes, from his study of the sources and archaeology, that such a person never existed. He also doesn’t believe that the supposed large-scale Anglo-Saxon migrations of the mid-fifth century were as large-scale as thought, and in fact began much earlier. Worlds of Arthur is divided into four parts. The first consists of Halsall discussing the various secondary source that mention or reference Arthur and the period. The second part is about the archaeology of the period and what it states. In the third part Halsall goes into detail on these sources and linking with the archaeology to show that they actually tell very little about Arthur and whether he existed or not. 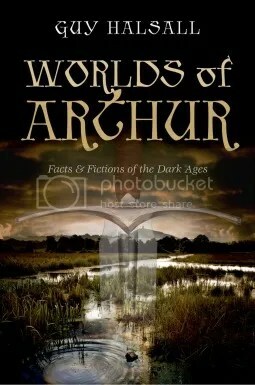 Finally, in the fourth section Halsall lays out his theories and researching about how and why Arthur never really existed and the events we have come to think we know about the period that aren’t completely true. Halsall is thorough and detailed in his discussions, using his experience and knowledge of the Merovingian period and the subjects mentioned above, but he also seems to rely a little too much on this, and not on the history and archaeology of Britain itself, as well as what its peoples left. It is nevertheless a worthy debate in the story of King Arthur that is well worth the read and deserves to be heard and accepted, even if it is in the minority. To purchase a copy of Worlds of Arthur from Amazon, and help support BookBanter, click HERE. The legend of King Arthur is known in some form to most people, and has had so much literature written about that it’s quite astonishing. The real man likely lived sometime in the fifth century, but within hundred years of the man’s death – whenever it actually was – people began writing about him over the centuries and up to the present day. 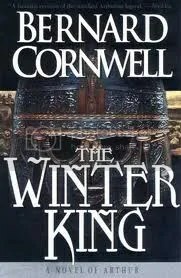 Not just biographies and supposed factual historical accounts, but plenty of fiction and historical fiction speculating on the period and what sort of man King Arthur truly was. In reality, it’s very unlikely he was ever actually an official king, but more of a great general for the Britons. In King Arthur’s Battle for Britain, Erik Walmsley provides an accounting on Arthurs twelve battles pulling from sources like Nennius and Gildas, as well as many others be they short accountings or pieces of poetry. He also creates the scene and story with each battle, adding description and action, but also providing geographic detail and photos, as well as a brief history of the region. The book begins with introductory chapters on Arthur, who the man might’ve been, as well as the evidence that speaks for him, then a dedicated chapter for each battle with maps showing likely locations. The one failing with King Arthur’s Battle for Britain is that as great of a story as Walmsley tells, he doesn’t cite his sources so readers aren’t sure what primary or secondary source he is getting certain information from, or whether he’s just adding his own fiction to create a stronger scene. Eric Walmsley is not a medieval historian, but he has researched this period and the sources for this book. 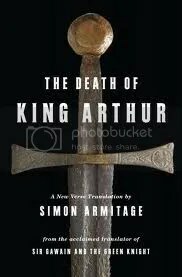 While what he posits in King Arthur’s Battle for Britain needs to be taken with a grain of salt, it is nevertheless a plausible explanation for events recorded in these unconfirmed secondary Arthurian sources and who the man known as Arthur might have truly been like. Originally written on March 16, 2013 ©Alex C. Telander. 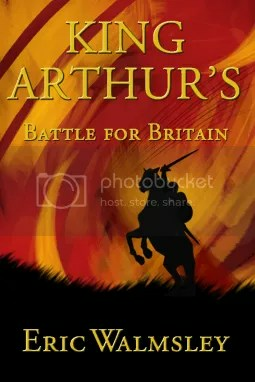 To purchase a copy of King Arthur’s Battle for Britain from Amazon, and help support BookBanter, click HERE. Whether you’re a writer of medieval historical fiction, a medieval history teacher, or an amateur medieval historian looking to give talks and guided tours at museums and locations throughout Europe; every once in a while a book comes along that you just have to add to your library. The price tag may be steep, but the information, detail, facts and statistics presented in A History of the Early Medieval Siege is invaluable to any person matching the above categories. You may also just be an interested reader in the period, looking to get everything you can on the subject of medieval warfare; well then, look no further. The author, Peter Purton, is not your usual professor of a well respected academic profession. He is an equalities officer for Britain’s Trade Union Congress, but developed a lifelong interest in medieval fortifications after visiting the Edwardian Castles of North Wales when he was a child. He has devoted over a decade of his spare time to research and study – along with a doctorate in history from Oxford University – to creating and publishing an epic, two-volume series. A History of the Early Medieval Siege is the first volume (A History of the Late Medieval Siege, unsurprisingly is the second, companion volume, also available). The text is small, the words many, the tables and charts seemingly never ending, the photos and drawings abundant, and the bibliography overwhelming to say the least (over 70 pages), along with a glossary, timeline, and thorough index; readers will have no problem finding a specific detail, point in time, or type of siege – be it ballista, trebuchet, or whatever tickles your fancy. The Roman period was obviously an incredibly important one for the development of siege weaponry, which Purton also discusses and explains how these instruments of war and destruction were carried into the medieval period and then developed and improved over the centuries, as well as new and more destruction siege engines devised. A History of the Early Medieval Siege (as well as the companion volume) comes down to one thing really: would you rather have three shelves of an assortment of books, or one thick, sturdy volume you can turn to time and time again? The Medieval Soldier by Vesey Norman was originally published in 1971, but Pen & Sword publishers have brought out a new edition. At less than 300 pages, the book is filled with details, facts and figures, photos and pictures, and Norman never hesitates to go into detail. The book is divided into two parts: the first covering the beginning of the feudal period, the second on feudalism and chivalry, essentially breaking up the Middle Ages into an early period and a late period, as styles of weaponry and the forms of combat, and things like armor and tactics, were quite different. In the first part, Norman goes into detail with chapters on the barbarian tribes of the Lombards, Franks, Vikings, and Saxons. Each group held a specific geographic location, with their own forms of combat and weaponry, though there was also an important overlap taking place between these groups, due to trade, as well as ongoing battles between them. In the second part Norman thoroughly explains the system of feudalism, how it worked, and how it relates to the medieval soldier. With improvements in armor, weaponry and forms of combat, Norman delves deep into chivalry, the idea of the medieval knight, and wrapping up with the monumental crusades which were important for religion and history, but also served as a popularity contest in some ways for nobles of stature and wealth. The Medieval Soldier seems like a small book at first, but is filled with lots of facts and important details, serving as a great reference tool for any would be historian, or any idle reader interested in this subject. At the end of the book Norman provides a strong bibliography, and a thorough index to help readers easily navigate around The Medieval Soldier, should they be looking for something specific and quickly.